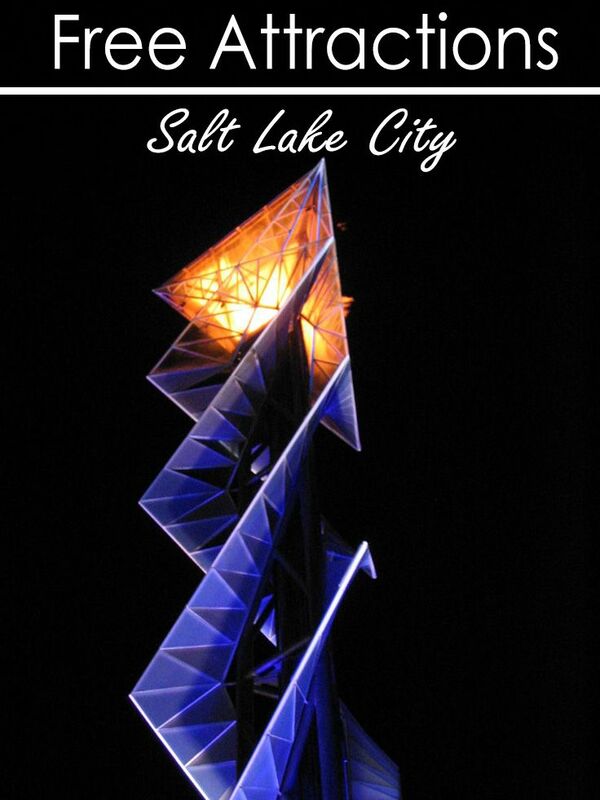 Salt Lake City is both a mountain town and a city, with plenty of year round family friendly activities. You can find lots of state and national parks, and monuments, within a short drive. Here are eight FREE things to do with your kids in Salt Lake City, Utah. Home to the 72-foot-high 2002 Olympic Winter Games Cauldron, a state-of-the-art visitors center, and the Hoberman Arch—the spectacular structure under which athletes received their medals. Large outdoor panels tell the story of the 17 days of the Games. Free admission to the Olympic Cauldron Park. Theater tickets are $3 for adults, $2 for kids. Temple Square, located in downtown Salt Lake, is a beautifully landscaped 10-acre area featuring the Salt Lake Temple, the Tabernacle building (Mormon Tabernacle Choir rehearsals are open to the public every Thursday evening), the Assembly Hall (family-friendly free concerts are given most weekends), and two visitor centers. Free tours of Temple Square are given daily in 30 languages. 3. Fort Douglas Military Museum. Located in historic Fort Douglas, the Military Museum features exhibits that tell the story of Utah’s military history, including uniforms, weapons, helicopters, tanks, and cannons. The museum is open Tuesdays-Saturdays, noon to 5 p.m. Pack a picnic lunch and head to Memory Grove, located just a short distance from downtown Salt Lake. Memory Grove Park features memorials to Utah’s veterans and a replica of the Liberty Bell. City Creek Canyon road is a walking, jogging, and bicycling route extending into the Wasatch Mountains to the northeast. Saturday mornings from June to October in Historic Pioneer Park, the Downtown Farmers’ Market boasts over 200 vendors that offer a unique variety of local produce, baked goods, prepared food and beverages, packaged foods, and local arts and crafts. Admission and live entertainment are free. The Gallivan Center features a skating rink during the winter months, amphitheater for live performances during the summer months, and 16 unique art pieces recreating a natural Utah theme. 7. Daughters of Utah Pioneers, Pioneer Memorial Museum. Explore six floors of exhibits, displays and collections of memorabilia from the time the earliest settlers entered the Valley of the Great Salt Lake until the joining of the railroads at a location known as Promontory Point, Utah, on May 10, 1869. Open 9 a.m.-5 p.m., Monday-Saturday, and 1-5 p.m. Sundays during June, July, August. 8. Salt Lake Art Center/Family Art Saturdays. Children and their adults can drop in the second Saturday of each month explore art together through a variety of free art-making activities. The galleries are open to the public Tuesday-Saturday 11 a.m.-6 p.m., and Friday 11 a.m.-9 p.m.